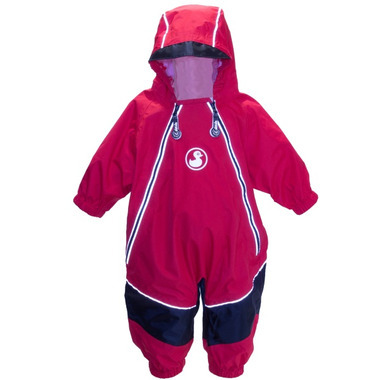 This Calikids waterproof onesie is perfect for wet weather. 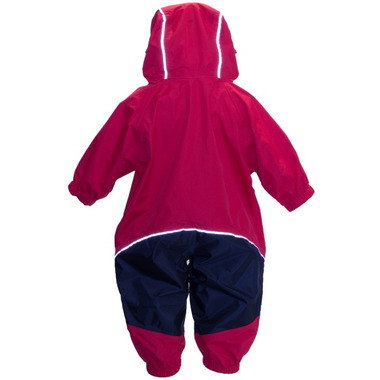 100% waterproof with heat sealed seams. This splash suit works just like a tuffo suit but better! The zippers zip so easy kids can do it themselves! Great suit, works great, highly recommend it! I bought this suit because I have really liked the calikids hats. The second time I put this suit on my toddler the zipper snapped, (my toddler was squirming). It is not very durable for the price.